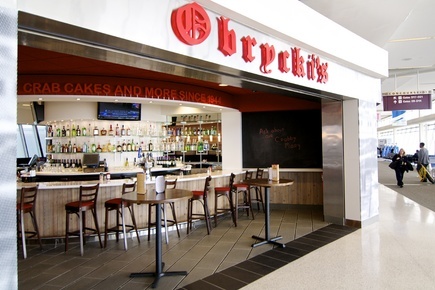 Obrycki’s – a Baltimore tradition – expands its operations with a new restaurant in the recently renovated Terminal D at Cleveland Hopkins International Airport. 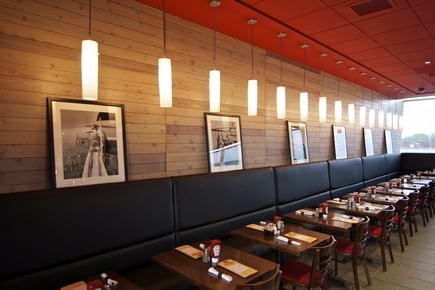 The new location presents the owners with an opportunity to develop Obrycki’s brand identity through a comprehensive evaluation of interior architecture, material palette, graphics and menu. Ascending the main escalators, the Obrycki’s backlit red signage is impossible to miss. The circular bar is inviting. It’s soft shape and clear identity draws the visitor into the space while at the same time dematerializes the fire stair from the main terminal that cuts the tenant space in half. 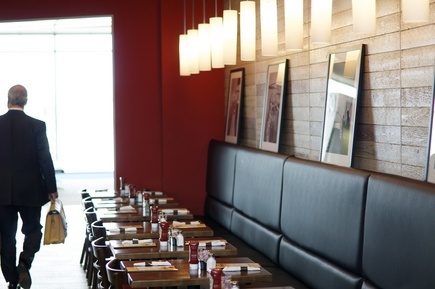 Materials and color define the space. 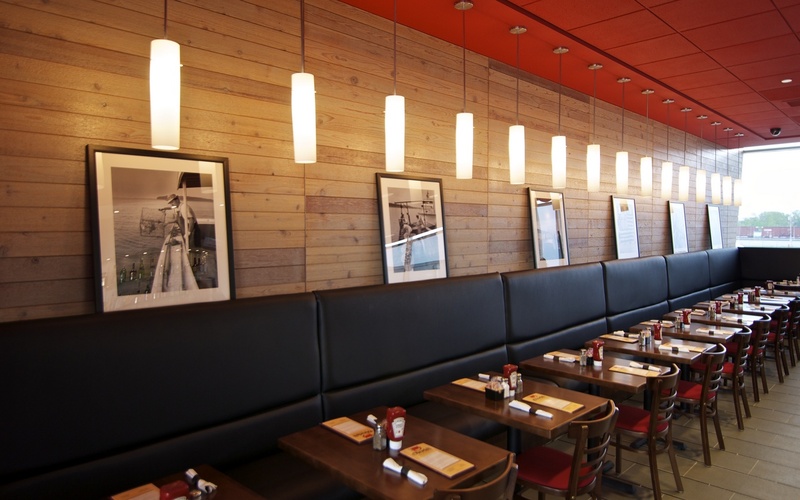 The rough-hewn cedar planks reference Obrycki’s heritage as a dockside crab shack. 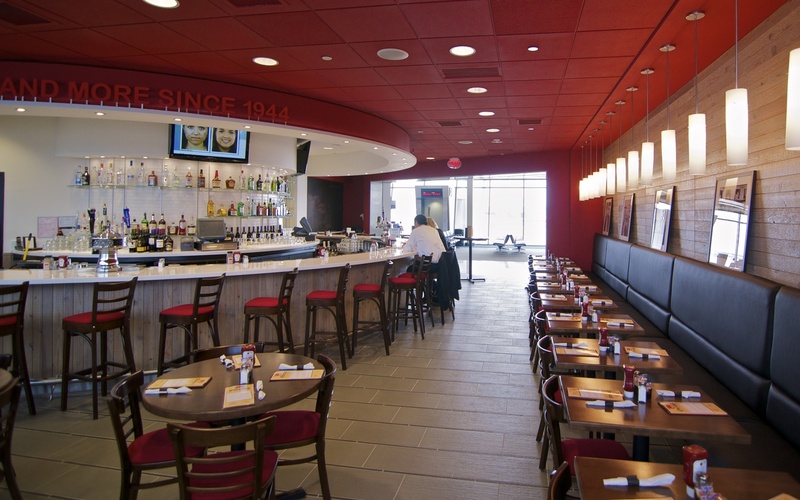 Brushed stainless steel, glass tiles, and curved glass bar shelving reflects light, dressing the bar in a cool sparkle. One imagines the alternating grey and black Italian floor tiles to be the deck of an old Chesapeake skipjack. 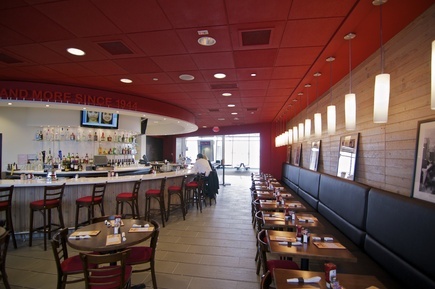 The dramatic red ceiling plane affirms the Obrycki’s brand while tempering significant natural daylight entering the space from both the east and west. The project succeeds for its holistic, integrated approach. 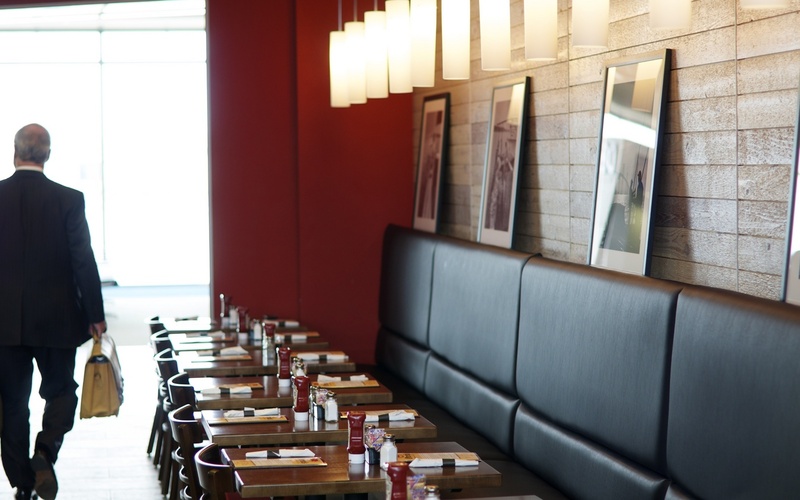 From concept through final execution, owner, architects, kitchen designer, MEP, and airport authorities worked together to deliver a project on budget and within an extremely tight schedule. 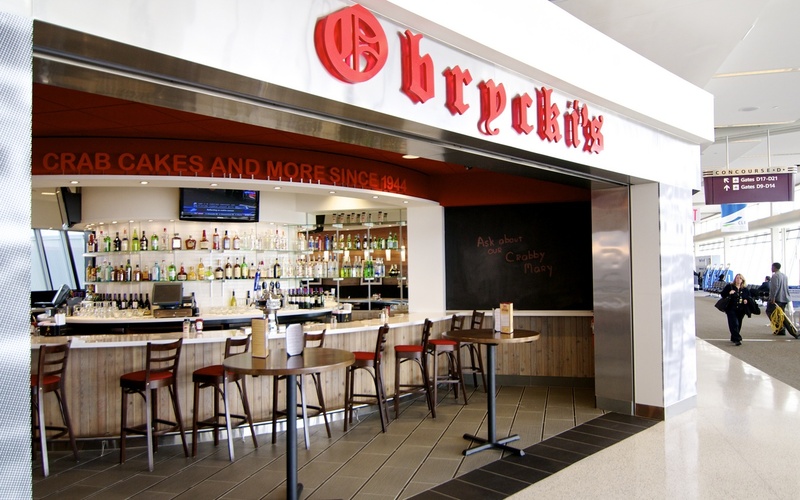 It is so successful that Obrycki’s is already commencing work on additional airport locations.